Any help would be highly appreciated!!! hey guys，I'm stuck in installing,can you help me? "For Radeon Video Cards you need to jump through some hoops to get them working"
"Follow the tutorial except for the third boot when you boot to your hard drive for the first time. You want to go to Options - Configs and choose the config_injectATI and add your FakeID to Options - Graphics Injector. " anybody know how to fix it plz? b4imetu wrote: "For Radeon Video Cards you need to jump through some hoops to get them working"
Use the config_DeInit or similar name. RX 580 is supported OOB and no injection or FakeID is needed. how to fix the appliance store operation failed..? Hi, I'm new in this world of Hackintosh. I already try to install High Sierra on my AMD system because Mojave doesnt support Nvidia GPU (until Feb 16tth, 2019), so I try to follow this tutorial and this first thing I need to do is make something with my SSD (APFS) but the tutorial has a video unavailable. I'm using the V3 of High Sierra, I just want to know how to made the support for SSD, and what instructions I need to follow. Hello! I know this post was from about a year ago, but I just can't seem to wrap my head around this problem. I am new to hackintoshing, but I am good with technology. Just as a fair warning, I am using an old-ish Lenovo laptop. I have followed the instructions up to the point where you are to boot from the partition that I made for the first time after using terminal with the command "preinstall" from the USB drive. 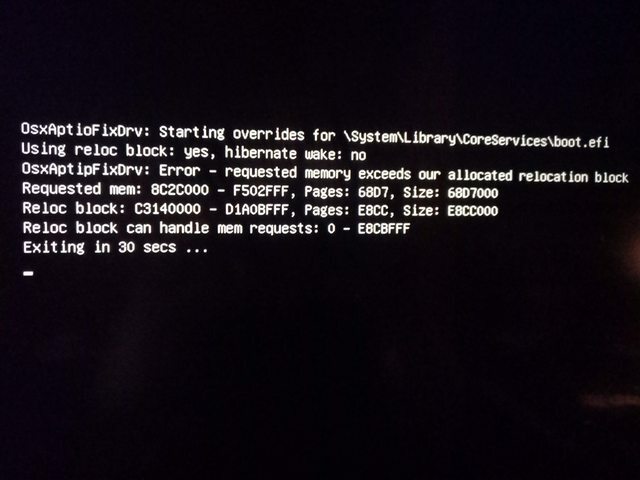 The problem I am encountering is after all of the text scrolls off of my screen after booting from the partition, an apple logo appears with a progress bar underneath. The progress bar makes a complete stop at about 15% of the bar's progression. I have tried using USBOwnership and USBInjection to no avail. If anyone at all might have an idea on how to help, PLEASE send any information my way. Thanks!